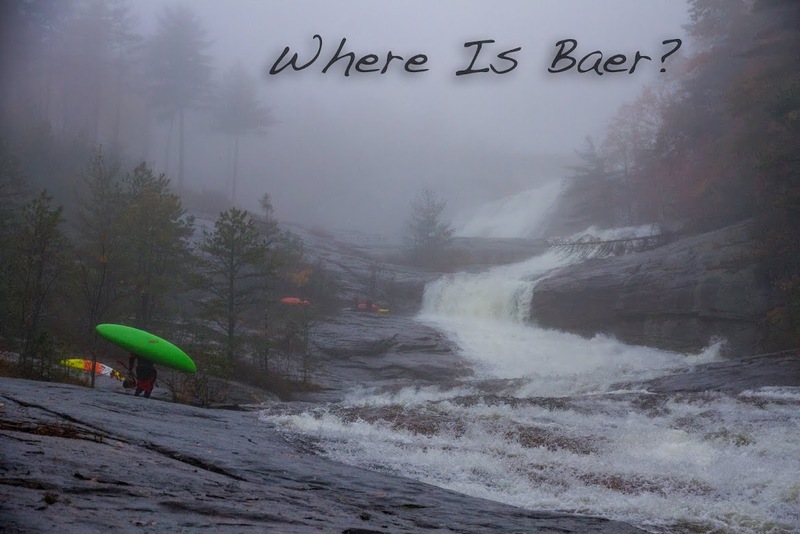 Where Is Baer ? : Blood, Snow, and Gradient, I love Minnesota! Blood, Snow, and Gradient, I love Minnesota! 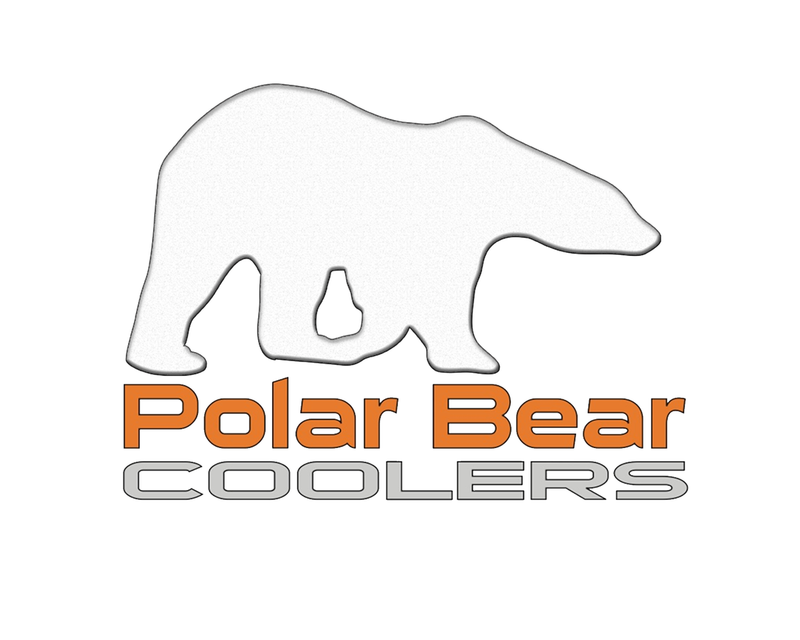 Is not for the faint of heart, the conditions are brutal. Hiking through waist deep snow to put-ins is standard. Frigid water, and air temperatures just above freezing are a guarantee. The other guarantee is that the whitewater is going to be rowdy! Most of the rivers are relatively steep, dropping from an ambient land mass of 1,600 feet into Lake Superior at 600 feet above sea level. This gives kayakers one thousand feet of gradient to work with that usually falls off in under five miles… Steep! 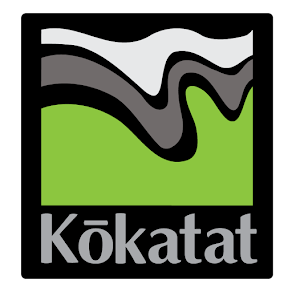 The other thing that helps Minnesota’s whitewater is bedrock, most of the North Shore is made of basalt and rhyolite. Combining steep gradient and bedrock means one thing: SLIDES! Rip roaring low angle slides. The spring thaw pumps seven months of winter’s precipitation down the steep gradient in just a few weeks. Back to the frozen North Minnesota from Chris Baer on Vimeo. These folks are passionate about their backyard, and understandably so. 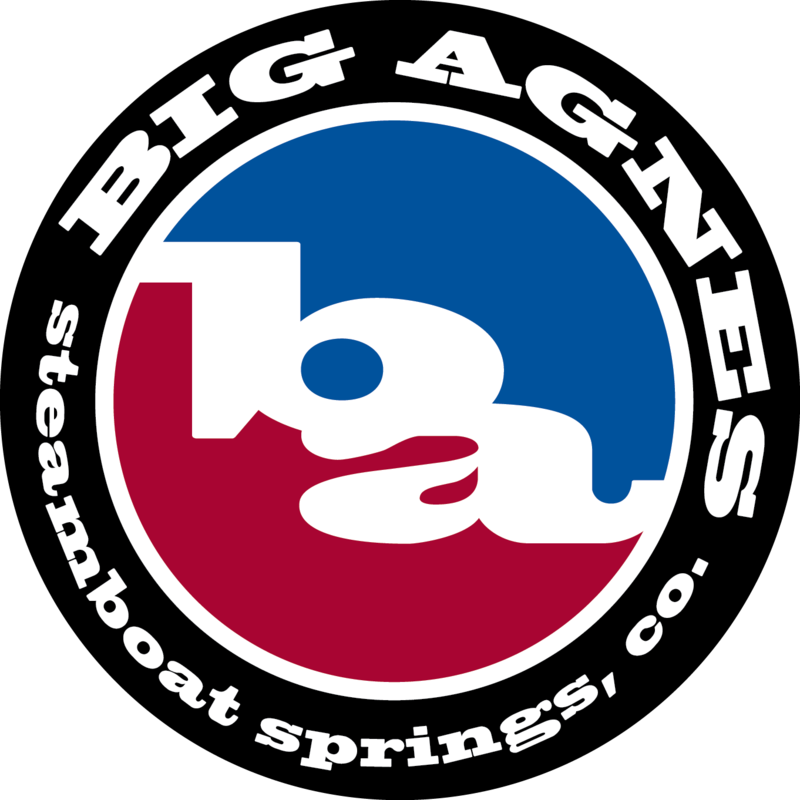 Most of the boaters have access to class 3 boating for a few months a year and might attend a pool session or two in the depths of the winter, then the spring thaw happens. They come out in droves, fired up to paddle the class 5 run off for one month a year. Minnesota boaters come out in droves! Unfortunately this year, the local crowd took more then their fair share of beatings. The classic runs were dolling out shoulder dislocations and gross lacerations (the rhyolite causes intrusions into the basalt creating razor blade sharp up lifts). 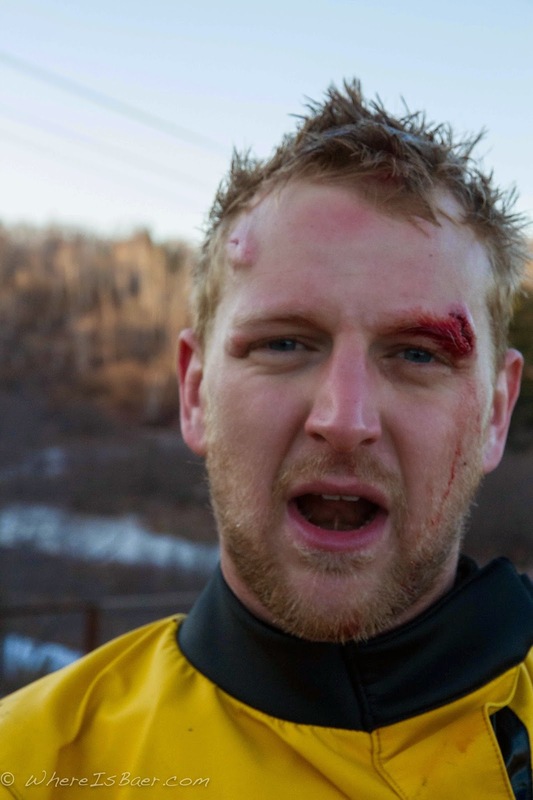 Tony Locken after crushing his head on the Split Rocks' Under the Log rapid, rocks hurt! 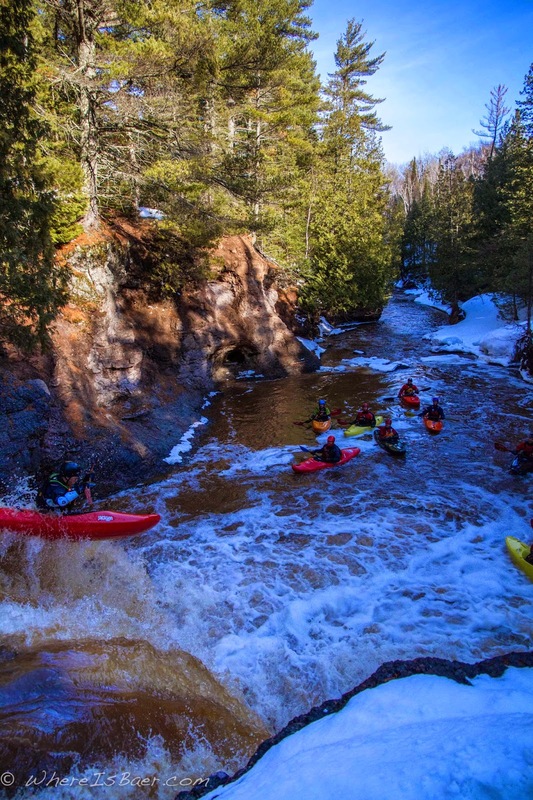 Located just on the outskirts of Duluth, is the first class 5 river to start flowing. No warm up for the locals and unfortunately it showed; I personally enjoyed a three boat pile up. One of the classic big rapids, “Naked Man” was augmented by a huge flood late in the summer of 2013 and has become rather retentive. Flying down a low angle slide into a blind horizon line I managed a quick glimpse of another paddler swimming to shore, and another throwing unintended ends in the new massive river wide hydraulic. Moments later, after a violent tag team surf session, getting crushed by each others’ boats, both Ryan Zimney and I pulled the freedom handle and exited our crafts. 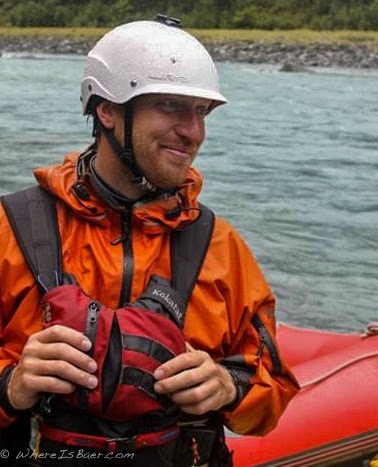 All three “paddlers” were now standing on the side of the river laughing, cursing, and tracking down equipment. 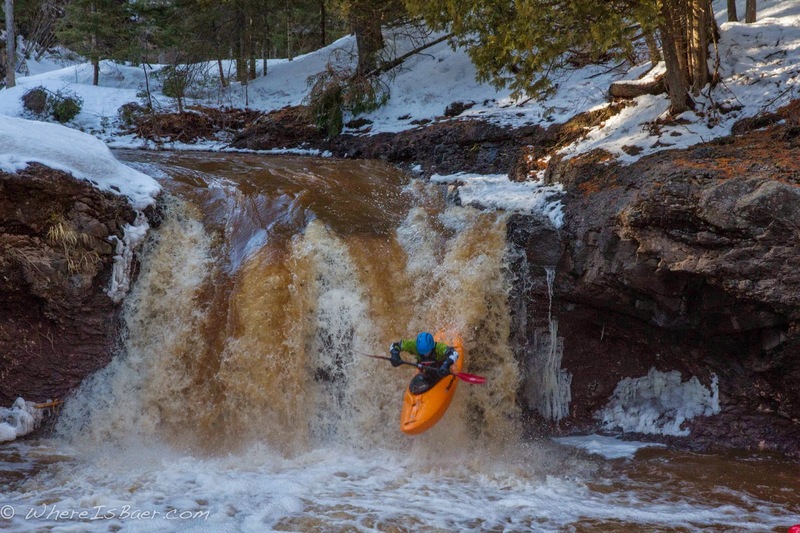 The perk of the trial by fire paddling style of Minnesota is the local paddlers are used to this kind of carnage. If you enjoy burly class 5 what are you waiting for? 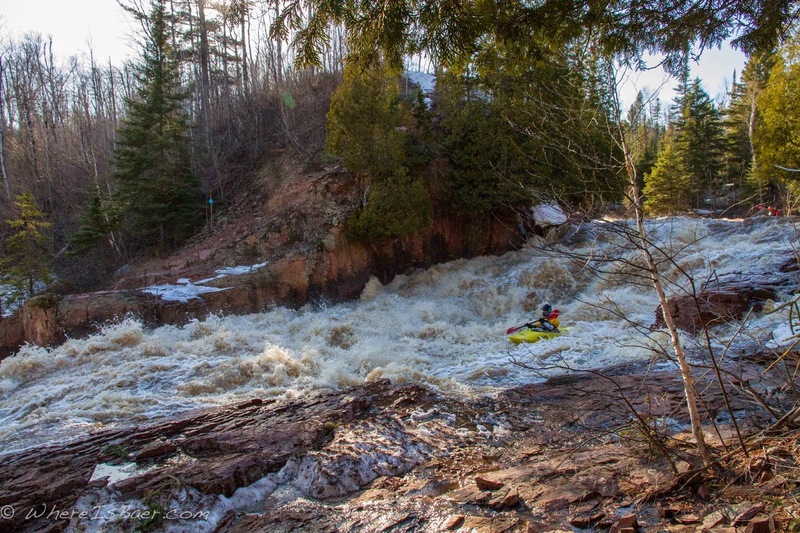 Minnesota has arguably the best whitewater in the world, in April, Get there!